Osteoporosis is a condition in which bones become brittle. Bone mass deteriorates and sufferers also experience bone tissue loss. It is a common condition experienced by people 65 and over, especially women. Osteoporosis is also nearly asymptomatic. Most people don’t realize that they have it until they experience the most common effect of the disease – fracture. Because there has been a loss of bone density with osteoporosis, you may be surprised by the ability of a minor fall or bump to shatter bones. The break could be a minor one in your arm, or it could occur in your spine and change your life forever. According to a study out of East Virginia Medical School in 2016, fractures that happen due to osteoporosis require more hospital time than other breaks and are more costly. Osteoporosis is something that it is important to be aware of as you age, so that you can take steps to prevent it. Remember, it is not something that you’ll feel happening, but you will sure feel that unexpected fracture. Following are 6 signs that might point to osteoporosis. Pay attention to #6 – it’s something that many people do not connect with the possibility of brittle bones. Once you reach age 50, it’s time to start talking to your doctor about risk factors for osteoporosis. Dietary supplementation, including more calcium, may be recommended. Women older than 65 and men older than 70 should be screened on an annual basis. Additionally, any person over the age of 50 who has had a fracture needs to be tested routinely for osteoporosis. It’s not just age, but certain lifestyle factors that can also influence osteoporosis. Medications like steroids, injectable contraceptives, and some cancer treatments also increase the risk. Basic medicines for things like depression or heartburn may also up your risk of osteoporosis, but that doesn’t mean you should stop taking them. Talk to your doctor. He or she may recommend an additional supplement to support your bone health and cancel out the effect of the primary medication. Loss of height and a stooped posture often come along with age, and they can signal osteoporosis. Noteworthy changes include a loss of two or more inches of height or a new curvature in the spine. These changes can mean that osteoporosis has affected your spine. Once you have reached age 50, ask for a height measurement at every wellness checkup. Vitamin D is critical to bone health because it helps the body to absorb calcium. New research has also pointed to the importance of vitamin D for preventing cardiovascular disease, cancer, and cognitive impairment. If you have a deficiency, you might experience bone pain or muscle weakness, but these symptoms are often mild. Vitamin D synthesizes in the body when your skin is exposed to sun, so many people experience a deficiency during winter months or if they live in northern latitudes. Food sources of vitamin D are mostly animal based, including egg yolks, fish and fish oils, fortified milk, and beef liver. If you are a strict vegan, the risk of vitamin D deficiency is higher. This test is just one measure your doctor might take to determine if you are experiencing bone loss. It can determine whether a vitamin D deficiency might be affecting your bones, and whether certain bone cancers are present. It can also be used to rule out Paget’s disease, which affects how your bones grow. This test is also commonly used to look for signs of liver disorder. Osteoporosis develops silently, so you will probably not experience pain before the disease has advanced. Still, there are some side effects of osteoporosis that can cause discomfort. Stress fractures and small cracks in the bone can occur in the course of daily life, and these may cause an achy feeling. As you begin to lose height and your vertebrae compress closer together, you will likely experience soreness in your back. And if a small fracture occurs in the ribs, it may press a nerve against a rib. Another signal of osteoporosis is muscle weakness due to loosened connections with the bones that support them. You may notice this as difficulty getting up from a chair without a push with your arms. Aches and pains are expected as you age, and not necessarily a sign of osteoporosis. But it’s still a good idea to talk about it with your doctor. 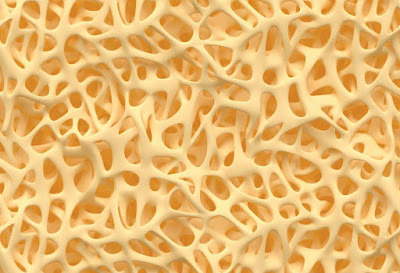 In a study of over 47,000 women with a fragility fracture, only 1 in 5 knew that they had osteoporosis beforehand. And surprisingly, very few of the women went on to take follow-up steps to prevent further fractures. Steps that you can take right now to lower the risk of osteoporosis, no matter your age, include boosting your intake of calcium and vitamin D, avoiding smoking and excessive drinking, and participating in regular weight-bearing exercise. For the most protection, it’s best to make these behaviors a habit by age 30. But even if you missed that boat, it’s never too late to make a difference. The comfort with which you age depends on it.